This section presents articles on Safety & Compliance relevant to both designers and users of power supply products. These articles discuss compliance requirements related to safety, electromagnetic compliance (EMC), energy efficiency, and other areas affecting power supply approvals regionally and globally for diverse applications and markets. The articles discuss compliance issues from the design stage through pre-compliance and final compliance testing. Some articles are deeply technical, others relate case studies involving power supply customers. These article were previously published in the Spotlight on Safety & Compliance column of the How2Power Today newsletter, which is sponsored by Power Integrations. These articles were authored by Kevin Parmenter, Chair, and James Spangler, Co-chair, PSMA Safety and Compliance Committee. Bios of these authors are also presented here. This section also presents some other safety and compliance related resources. 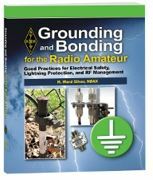 Grounding and Bonding for the Radio Amateur, published by The American Radio Relay League (ARRL), copyright 2017, 176 pages, available in softcover or Kindle edition, ISBN number 978-1-62595-065-9, item number 0659, $22.95 from ARRL. 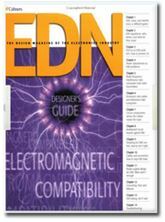 EDN Designers Guide to Electromagnetic Compatibility, Daryl Gerke, PE, and William Kimmel, PE, available in PDF or hardcopy reprint from Kimmel Gerke Associates. Getting to Know IEC 62368-1—How Does A TV/Stereo Standard Affect My Industrial Power Electronics Design? Power Supply Standards: Which Ones Apply In Your Application? Kevin Parmenter is an IEEE Senior Member and has over 20 years of experience in the electronics and semiconductor industry. Kevin is currently vice president of applications engineering in the U.S.A. for Excelsys, an Advanced Energy company. Previously, Kevin has served as director of Advanced Technical Marketing for Digital Power Products at Exar, and led global product applications engineering and new product definition for Freescale Semiconductors AMPD - Analog, Mixed Signal and Power Division. Prior to that, he worked for Fairchild Semiconductor in the Americas as senior director of field applications engineering and held various technical and management positions with increasing responsibility at ON Semiconductor and in the Motorola Semiconductor Products Sector. Kevin serves on the board of directors of the PSMA and was the general chair of APEC 2009. Kevin has also had design engineering experience in the medical electronics and military electronics fields. He holds a BSEE and BS in Business Administration, is a member of the IEEE, and holds an Amateur Extra class FCC license (KG5Q) as well as an FCC Commercial Radiotelephone License. James Spangler is a Life Member of the IEEE with over 40 years of electronics design experience and is president of Spangler Prototype Inc. (SPI). His power electronics engineering consulting firm’s priority is helping companies to place products into production, assisting them to pass government regulations and agency standards such as UL, FCC, ANSI, IES, and the IEC. For many years, he worked as a field applications engineer (FAE) for Motorola Semiconductor, On Semiconductor, Cirrus Logic, and Active Semiconductor, assisting customers in using semiconductors. He published numerous application notes and conference papers at a variety of conferences: APEC, ECCE, IAS, and PCIM. Topics included power factor correction, lighting, and automotive applications. As an FAE, he traveled internationally giving switch-mode power supply seminars in Australia, Hong Kong, Taiwan, Korea, Japan, Mexico, and Canada. An extensive list of design-oriented articles and videos discussing electromagnetic interference (EMI) and electromagnetic compliance (EMC) issues as related to power supply design. “At BiTS, Engineers Can Address Burn-In And Test Challenges One-on-One” report on BiTS 2014 Workshop. “Workshop Underscores Importance of Power Supplies To Burn-in And Test of Latest Integrated Circuits,” report on BiTS 2013 Workshop. “Symposium Offers Forum For Learning About Methodologies, Regulations & Services For Product Compliance Engineering,” report on ISPCE Symposium 2012.